The period between 1261 and 1453 saw the final decline and fall of the Byzantine Empire take place, under the Palailogois dynasty. From the start, the régime faced numerous problems. The Turks continued the expansion into Byzantine territory in Asia Minor, and Anatolia was systematically lost to numerous Turkic ghazis, whose raids evolved into conquering expeditions inspired by Islamic zeal. With a decreasing source of food and manpower, the Empire was forced to fight on several fronts, often against Christian states: the Second Bulgarian Empire, the Serbian Empire, the remnants of the Latin Empire and even the Knights Hospitaller. Add to this two disastrous civil wars, the Black Death, and the 1354 earthquake at Gallipoli, whose destruction and evacuation allowed the Turks to occupy it. By 1380, the Byzantine Empire consisted of the capital Constantinople and a few other isolated exclaves. 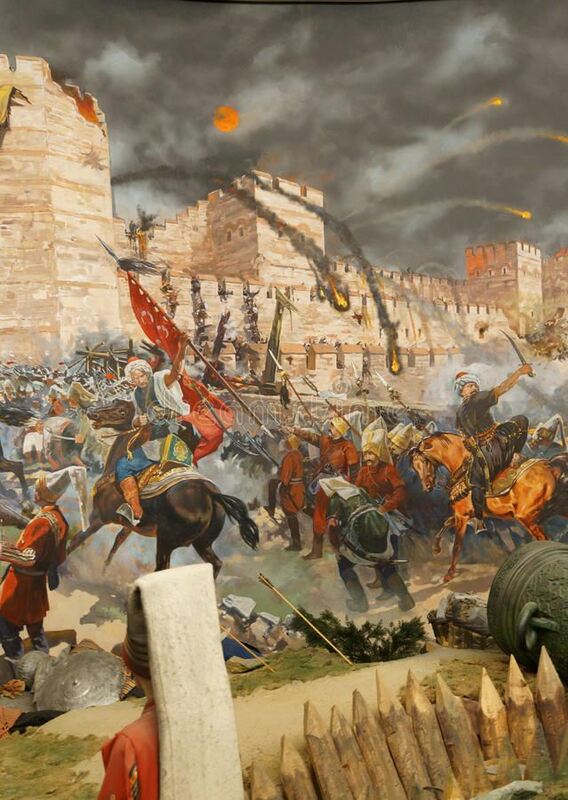 And then in 1453 it was all over; Constantinople was conquered by the 21-year-old Ottoman Sultan Mehmed the Conqueror, who defeated an army commanded by Byzantine Emperor Constantine XI Palaiologos.